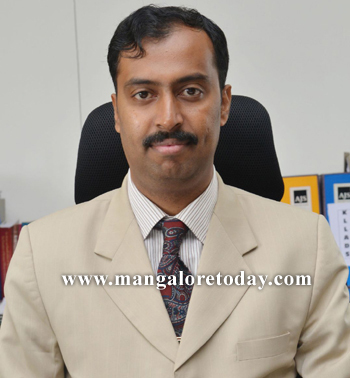 Manipal, Aug 01, 2015: Speaking at the SC/ST grievance meeting, Udupi DC Dr R Vishal called up on members of the Dalit community to voluntarily participate proactively in the development process being initiated by the district administration. The DC said that there is a need for collective and systematic efforts in the development process of the oppressed communities. The students of the Koraga community are receiving special coaching and there has been reasonable progress in ensuring health care facilities, housing schemes and title deeds for the members of the SC/ST communities. All avenues are open for DC Manna land and illegally encroached land in the district. An action plan is being formulated for upgrading the Ambedkar Bhavan and illegal dwellings at the place have been cleared. He assured to provide support for developing the structure and its maintenance. DC Dr Vishal explained that a few members of the SC/ST communities could run taxis and they would be suitably trained. He called upon the members of the SC/ST communities to make good use of schemes. Since, the members are not allowed to park their vehicles in the auto and taxi stands. The DC asked the Police, the RTO and the commissioner of the City Municipal Council to facilitate the entry of Dalit auto and taxi drivers into the business. He also instructed the Police and the Excise departments to look into the increasing number of liquor outlets and illegal liquor sale in the Dalit colonies. Drinking water facilities are being provided to the SC families residing in Hunasemakki, Yadyadi and Yatyadi gram panchayat limits in Kundapur. The issue of illegal mining was also raised in the meeting. Superintendent of Police Annamalai said that the law concerning protection of SC/ST communities would be amended shortly, which would include clauses providing solutions to the problems faced of Dalits.